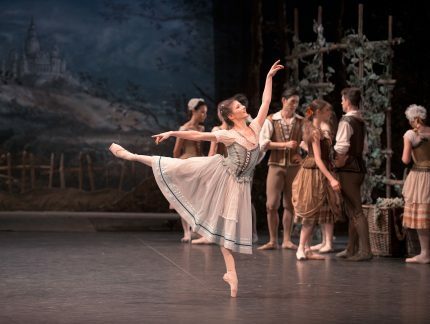 Giselle is a haunting story of innocence and betrayal, a timeless tale about the redemptive power of love. 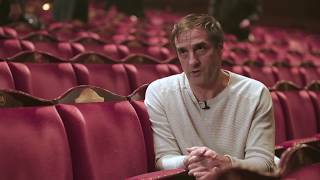 Moving from the sunny optimism of Giselle’s idyllic village life to a moonlit world of mystery and menace, Mary Skeaping’s production of Giselle features some of ballet’s most dramatic scenes and otherworldly images. 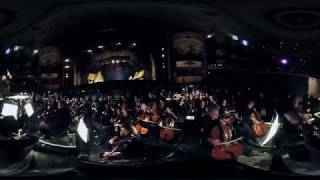 Adolphe Adam’s score, performed live by English National Ballet Philharmonic, adds to the lush atmosphere. Main image: Alison McWhinney. Photo © Jason Bell. Art Direction and Design: Charlotte Wilkinson Studio. It is the vintage festival, when the villagers gather to drink the new wine. Today, the celebration will be at the cottage of Giselle, a beautiful and innocent peasant girl. Giselle has fallen in love with Albrecht, Duke of Silesia, who, disguised as a peasant, courts her. Hilarion, a gamekeeper who is in love with Giselle, suspects the true identity of his rival, and soon finds out that Albrecht is not the peasant he claims to be. Villagers return from the fields to celebrate the grape harvest and join in a dance with Giselle and Albrecht. 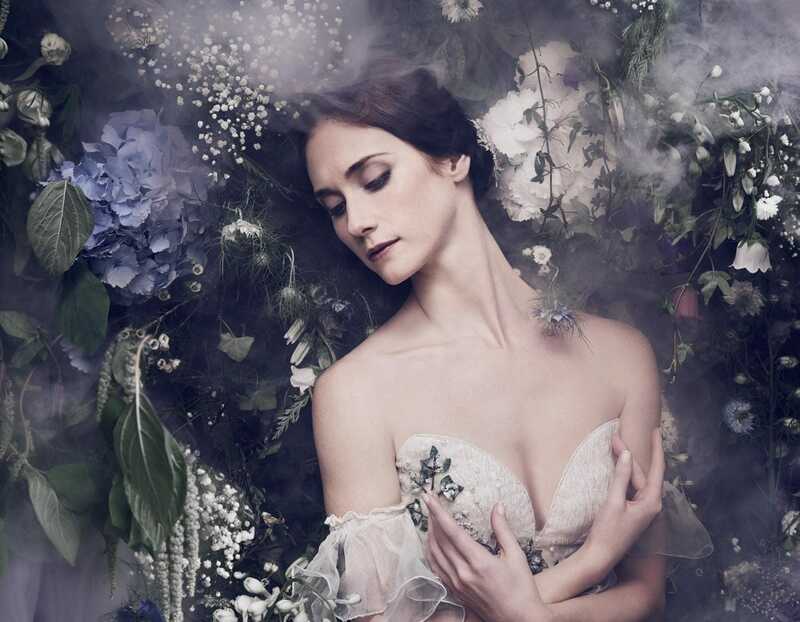 Giselle’s Mother, Berthe, is worried that Giselle’s passion for dancing may be the death of her delicate daughter, who will then fall under the spell of the Wilis, vengeful spirits of virgin-brides who have been abandoned before their wedding night. Giselle is amused at her mother’s concern, and continues dancing with her friends, until she is finally crowned Queen of the Vine. The Prince of Courland and his hunting party stop at the village to taste the wine. One of this party, the Prince’s daughter, Bathilde, is engaged to Duke Albrecht. Hilarion takes this opportunity to reveal the truth about Albrecht’s identity. Giselle, destroyed by grief at Albrecht’s duplicity, loses her mind and dies. This is the supernatural world of the Wilis. Attired in their bridal dresses, they dance in the moonlight and lure young men to dance until they fall dead of exhaustion. Separately, Hilarion and Albrecht visit Giselle’s grave, mourning her tragic death. Hilarion is caught by the vengeful spirits and Myrtha, Queen of the Wilis, condemns him to dance until he dies. Albrecht faces a similar fate, but Giselle’s love and forgiveness protect him through the night. The Queen of the Wilis tries to get Albrecht away from the cross on Giselle’s grave which is helping to protect him, but her magic Myrtle branch breaks. She makes a desperate effort to maintain her control by commanding the Wilis to attack the cross, but its power is too great. She commands Giselle to come away from the cross, knowing Albrecht will follow her. However, as dawn breaks over the forest Queen Myrtha loses her power and the Wilis are forced back into their graves. After a final farewell, Giselle and Albrecht are parted forever. As Mary Skeaping’s Giselle opens to rave reviews, we’re delighted to share with you Curing Albrecht, an original dance film inspired by the iconic ballet, directed and choreographed by Morgann Runacre-Temple and Jessica Wright. 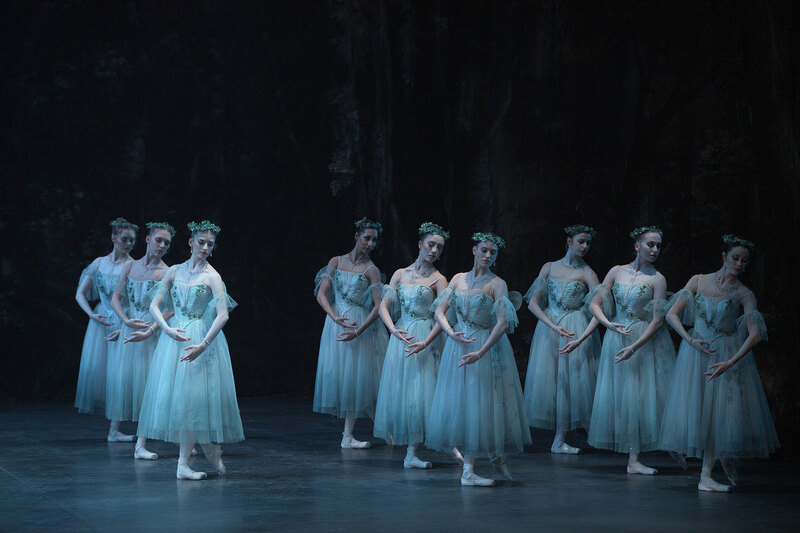 Our classical production of Giselle opened at the London Coliseum this week.